The Dunklau Center for Science, Math and Business will feature 58,000 square feet of new construction and 28,000 square feet of renovated space, for a combined total of 86,000 square feet. Situated on the main campus quad, this $24.5 million project will be entirely funded by generous supporters of the university. In addition, there will be five research labs for longer-term, advanced projects. The Dunklau Center includes collaborative spaces for students and faculty to work together in flexible, adaptable environments. A nearly 1,000 square foot "Co-Lab" extending above the campus quad will be prominent, providing space for large and small group student projects and study, classes, programs and meetings. 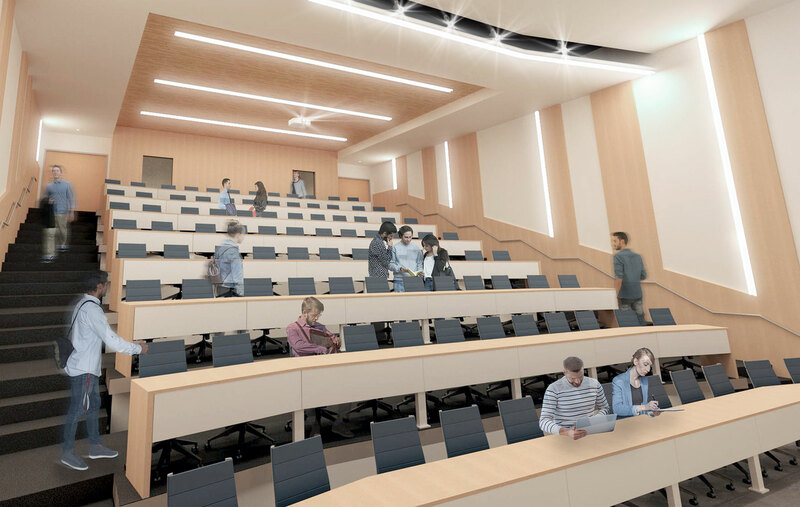 A 96-seat lecture hall, conference rooms, faculty offices, and an entirely new area for computing services will be included in the completed complex. New construction is scheduled to be complete in July of 2019, with the renovation wrapping up in December, 2019.